As promised, the microblogging network and allows users to download and save the full history of their tweets. In addition, the new tool offers chronological consultations and monthly usage statistics. 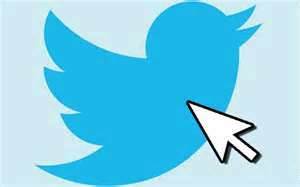 The 500 million Twitter users that exist in the world write an average of 340 million messages per day. Twitter, which recently released its own filters to images, created a tool to allow users to download their entire archive of tweets. The new function will give the entire file from one account, from the first to the last tweet; the document can be viewed in chronological order and display statistics of the different months. The file is downloaded in .zip format and open it displays a calendar in HTML. You’ll find links, photos, videos and any additional items that have been published. The document is displayed in the browser and you can only view your Tweets. At the moment, only a small group of users can download your file, but since Twitter ensure that they are enabling it gradually. To find out if you already have this feature, all you have to do is log into your account, click on the little wheel that is located in the upper right corner and select Settings. There you should find the option to download the file.